E-commerce is all about selling like a pro. E-commerce websites and selling platforms rely on heavy sales to survive the competition. Web development is complicated. In any project, there are a multitude of aspects to consider, from user experience to performance. Development of an enterprise website is a large-scale, complex process, but an E-commerce site presents its own particular challenges. Since users will be coming to the site to learn about products and purchase products, developers will want to do everything they can to make this process easy and intuitive. Statistics show that 30% of visitors to E-commerce sites use search to find the products they are looking for, so it’s important to make sure the search functionality is available and easy to use. In addition, it’s a good idea to utilize features like autocomplete to help users find popular products or items related to their searches. Faceted search is another important way to help users find products. This functionality allows them to narrow their search in a variety of ways, including by department, size, price range, manufacturer, etc. Providing this functionality gives users more power to find what they need, letting them limit their searches to exactly what they are looking for. The use of mobile devices to access websites is continually growing, and eCommerce sales are a large portion of this traffic. This means that it is incredibly important to make sure your E-commerce website is optimized for mobile, providing the best experience for users no matter what device they are using to access your site. Implementing Responsive Design to make a website accessible and usable on every device is important for the success of an E-commerce site. The Episerver CMS is an especially powerful tool for E-commerce sites, and Episerver E-commerce is designed to automatically implement responsive design. Whatever platform you use, you’ll need to be sure you keep mobile users in mind for every aspect of the site, from basic navigation to checkout and payment, since this ever-growing group of users can’t be ignored. Is your E-commerce website optimized for mobile? 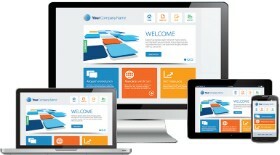 Check out our website to learn how to get started with your Mobile strategy. 1. Compress images, which will allow them to provide the best visuals at the smallest possible size, reducing download times. 2. Use caching to reduce the time spent sending data between the web server and the database server. 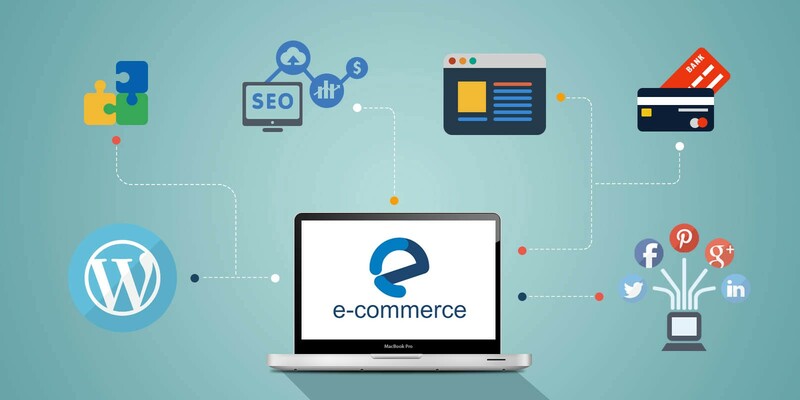 Companies with E-commerce sites will often want to require users to create an account in order to make a purchase since this allows for follow-up communication that encourages future sales, as well as tracking customers’ demographic information to analyze sales. However, it’s important to remember that not everybody wants to go through the process of creating an account in order to buy a product. Repeat customers will want to register and get the benefits of having an account, such as saving their information for future purchases and receiving notifications about upcoming sales, but it’s still a good idea to provide an option for people who just want to make a one-time order. Keeping these aspects of an E-commerce site in mind during development will help you ensure that you are providing the best experience for your customers. Do you need help understanding how to get started developing your E-commerce site? Please contact us to speak with a web development expert, or feel free to leave any questions you might have about E-commerce in the comments below.